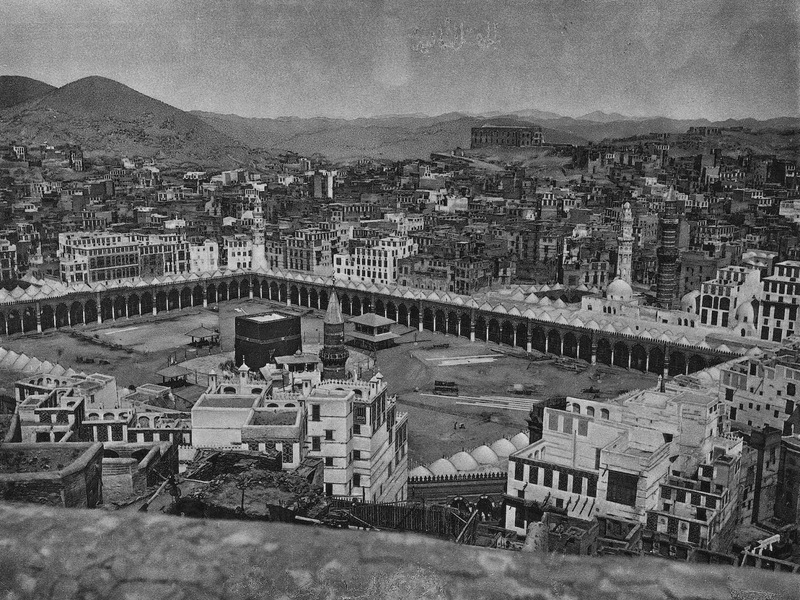 In 1884 the Dutch Arabist and Islam expert Christiaan Snouck (1857-1936) was the first westerner who managed to make photographs in Mecca. 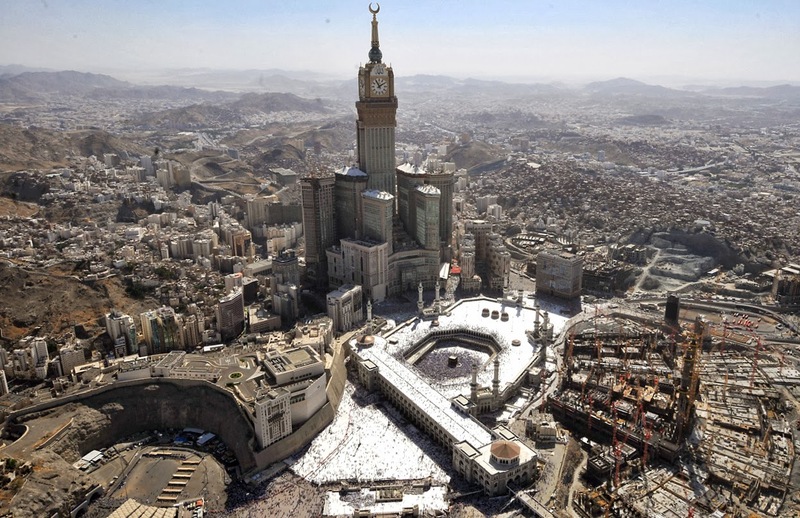 Mecca was (and is) forbidden for non-Muslims. Between 1503 and 1884, only fifteen (disguised) Westerners managed to gain access to the pilgrimage. 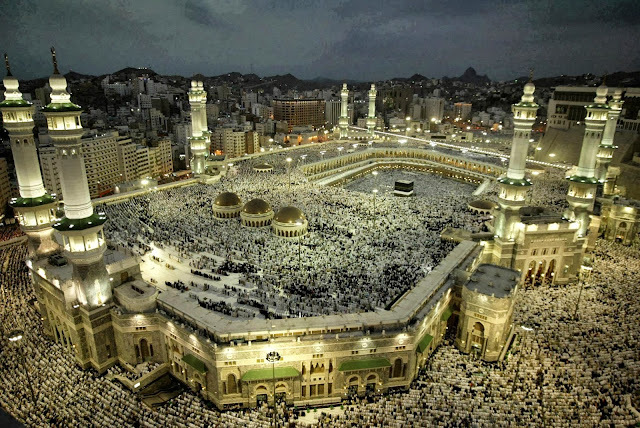 Snouck converted to Islam, so that he could attend the hajj, the pilgrimage to Mecca. The early photo is amazing. Great photographs. I really like the photo by Christiaan Snouck. I like reading Richard Francis Burton who visited Mecca (in secret) in 1851–53, he was a great traveler and pioneer. I didn't know Richard Francis Burton. According to wikipedia he led a very interesting life. Despite all the upgrades, the immediate site has a similar footprint in the old and new photos. It's an impressive place as is Medina where the Prophet is buried, I went in 2001 and saw where they print the Qur'an and where they make the covering for the Karbah which is replaced every years during Hajj. It has observed all the hardships and problems that Muslims had to face. It is the city which is declared peaceful and protected by Allah himself. The one who enters in its premises is under the shelter of Allah the Almighty.